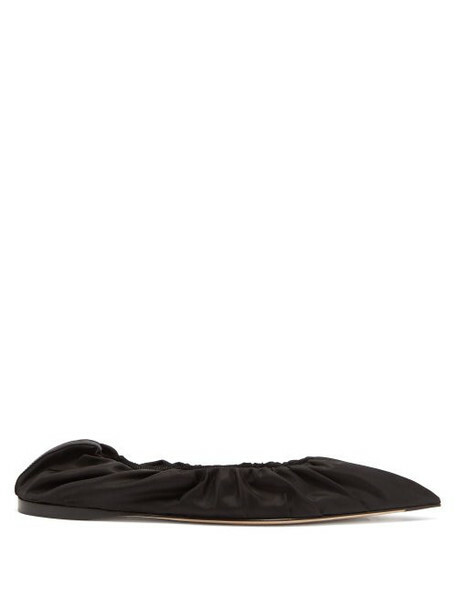 Acne Studios - The contemporary structure of Acne Studios' black Babette flats are a nod to the Scandinavian label's modern and effortless-cool aesthetic. They're Italian-crafted from lustrous shell shaped to a slender pointed toe and punctuated by ruched elasticated edges for a flexible fit. Slip them on as an alternative to heels to complete a chic two-piece suit.